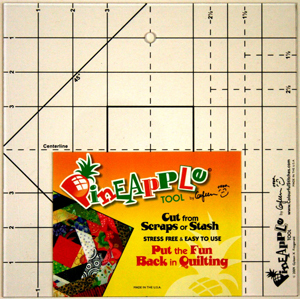 For an accurate approach to making stress free pineapple blocks without the use of paper piecing, try my new Pineapple tool. Engineered by a quilter with a quilter in mind! This tool has just enough markings to keep your blocks perfectly square round to round and fuss free. Makes an 8" finished pineapple block.